Buzzy is a native of Brooklyn, where he worked in his grandfather’s deli, slicing meat since he was 12 years old, and has now come full circle. He did a stint in the New York garment industry and served as V.P. for Merry-Go-Round stores, a national clothing retail chain. He graduated from the University of Florida (1988) with a degree in Marketing and spent the 1980s and 90s on South Beach working in the bar business. It’s there he met his future business partner Richard Booth, who grew up in Miami (FLASH: Gables HS 40th Reunion this August at the Hank & Harry’s) and for some 35 years worked in the hospitality industry with Southern Wine & Spirits as VP/General Manager and later as Vice President-Strategic Account Development for Florida. Giving a thumbs up is GM Donald Goldberg with staff. An upscale deli concept comprised of traditional Jewish and classic Italian signature dishes, Hank & Harry’s is open seven days a week: Mon-Thurs 8a-9p; Fri-Sat 8a-11p; Sun 8a-7p. Dine-in, “Grab & Go” and delivery is available. 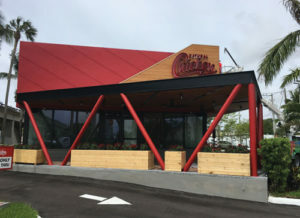 Hank & Harry’s has two other locations: Miami Beach on Lincoln & Michigan Ave (opened in February 2017) and Aventura (opened in January 2018). 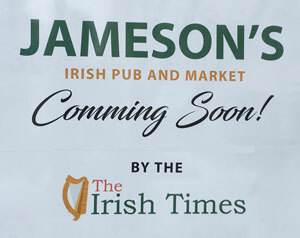 As the brand continues to expand, they are also currently seeking single and multiple franchise operators. 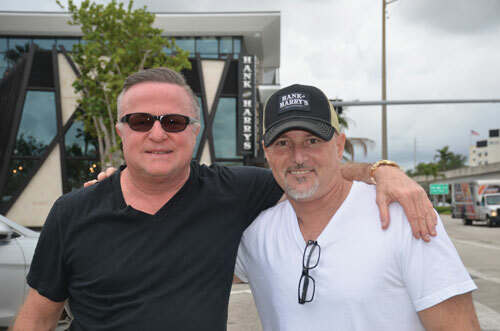 For those who have been around the South Miami area for a while, consider a blend of Marshall Majors and J.J.’s diner. Hank & Harry’s is destined to be another iconic eatery destination. Platter pictured includes Kabaob Barg & Joojeh Sultani with Shirazi Salad. Welcome to the “Shahs”: Amin Ebrahimi, Farzad Norouszishad and Mohammad-Ali Asgari. These three have already made a name for themselves with their exceptional and flavorful menu. “Made from scratch with love,” they are passionate about their food – and putting love and thereby life into the meals they serve. The three met some nine months ago at the Ershad Islamic Center here in South Miami, and realized a common dream. 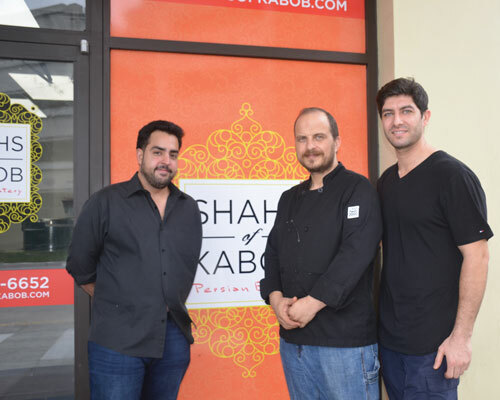 While each has college degrees in other professions, it was the Persian food culture that is a principal interest in coming together to establish the new eatery in town: Shahs of Kabob. Amin was born and raised in Miami in a Persian household and deals with the marketing; Farzad and Mohammad Ali all are trained chefs from Iran, with Mohammed working in New York City and often prepared food for the UN delegation. 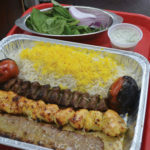 The fast, casual location across from the South Miami Metrorail prepared typical Persian cuisine which includes a wide variety of dishes, including several forms of kebab, stew, soup, and pilaf dishes, as well as various salads, desserts, pastries, and drinks. All meats are slaughtered in the Islamic halal tradition. Shahs of Kabob also enjoys a busy catering production and offers some 500 different foods and preparation. 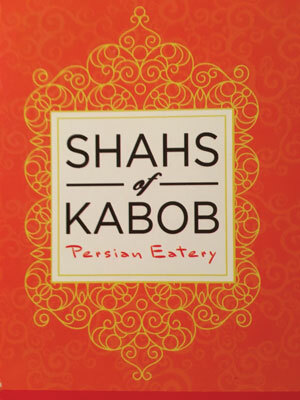 Shahs of Kabob is open from 11a – 10p Monday – Sunday. Born in San Diego in 2007, Club Pilates has expanded across the nation, bringing Pilates to hundreds of thousands of people. It is a rapidly growing franchise throughout the country with 358 active studios at present. 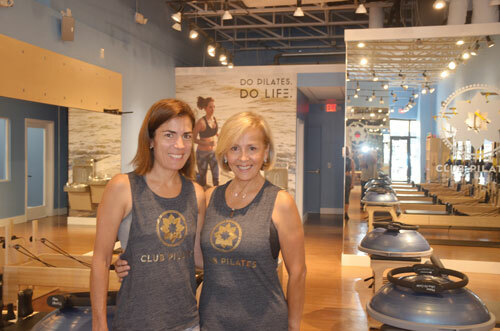 Club Pilates recently opened on 5855 Sunset Drive in the space formerly occupied by American Apparel. In his book Return to Life through Contrology, Joseph Pilates presents his method as the art of controlled movements, which should look and feel like a workout (not a therapy) when properly manifested. If practiced with consistency, Pilates improves flexibility, builds strength and develops control and endurance in the entire body. Franchise owners Tania Peck and Maria Isabel Gutierrez are kindred spirits who after sixteen years of working in tandem in the corporate world, sought out a business they were comfortable in considering, as they “wanted to make a difference in people’s lives.” They opened a Club Pilates in the Brickell area 1 – 1/2 years ago, and now have come to SOMI. They believe that Pilates is the path to a fuller, more satisfying physical existence and by being in control of your body helps you to be in control of your life. 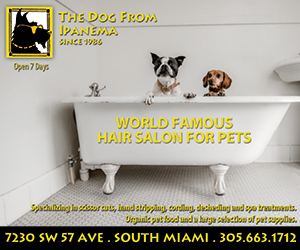 Tania and Maria Isabel invite you to come by for a complimentary class. And best of all, they believe that you can start anytime. Tristan Sauvan, 31, joined the team at NIKITA PARIS this past April. Tristan is from Paris, has been styling hair for some 15 years, and for the past two years has worked at the Cannes Film Festival. He visited Miami on holiday three years ago, and was destined to return. Nikita which has been in SOMI for 16 years, has four stylists from France serving their clients. KAPPA ROLLS + BOWLS is an exciting new concept of fast-casual Japanese cuisine where you get the freedom to customize your own sushi rolls, burritos and bowls and make them uniquely delicious and yours! 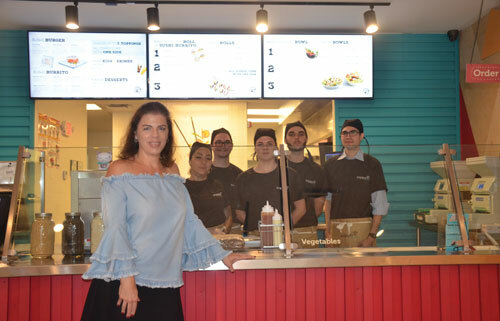 Bringing the concept to 5744 Sunset Drive from Brazil is owner Angela Faria Lengyel. She and her husband were the first ones selling Japanese food in a fast-food operation in Brazil. Kappa is created with the American public in mind. Kappa is a great option for people who seek a healthy, tasty, fair-priced and fast meal in Miami. The Halal Guys welcomes you. 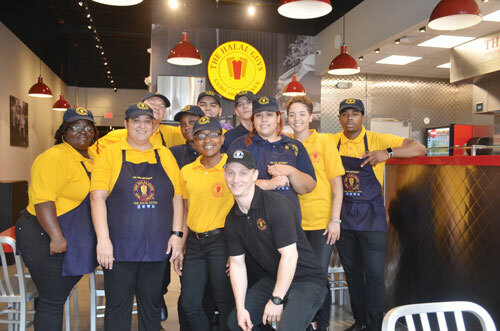 Opening at the SOMI Center building at 5966 South Dixie Hwy, THE HALAL GUYS is a fast casual restaurant franchise that began as a food cart on 53rd Street and Sixth Avenue in New York City. Founded in 1990 by Egyptian-descendent Mohamed Abouelenein as a hot dog cart, he believed that a hot dog was not a satisfying meal, and switched to the current menu of chicken, gyro meat, rice, and pita in 1992, which attracted the city’s Muslim cabbies to get a quick, relatively inexpensive halal meal. As word of the cart spread, the now-famous platter of chicken and rice was born.